An opportunity for students to earn authentic badges and highlight their business & soft skills in ways that grades cannot! Enhance your professional presence today!
" What are your top strengths? " Show The World You're Ready! 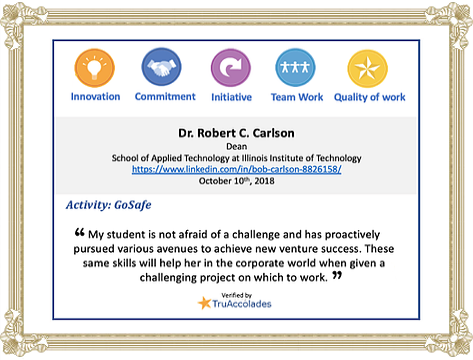 "TruAccolades provides faculty with a tool that in a timely manner enables them to recognize student accomplishments that distinguish them from others and alerts employers to their outstanding talent." 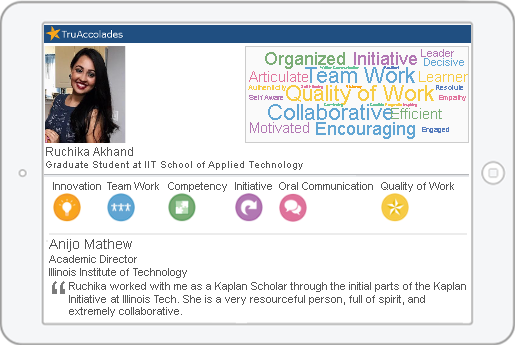 "TruAccolades allows an opportunity for students to get honest feedback from Professors on project work applicable for job placement." "I am one of the first users of TruAccolades. This tool is an amazing resource for students to collect feedback from their professors and improve as they progress in their academics." 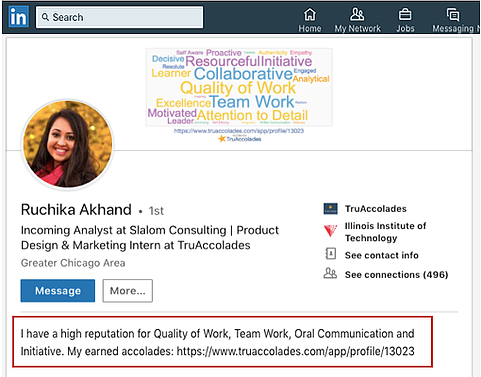 "TruAccolades is a genius platform that allows employers and job seekers to explore talents and skills that may not necessarily be on a resume." "TruAccolades is my GO-TO source to answer the tough question posed by interviewers - 'What do your professors/ mentors say are your strongest qualities?'"